I was alone in my kitchen when I noticed a small brown pigeon on the floor. The pigeon made a squeaking sound when I approached it, and I realized it couldn’t fly. I crouched down until I was close enough to see the threads of pale fluff sticking out of its neck feathers: it must have been young. I tried to catch it but it was slipperier than I’d have expected – it went out of my hands like a fish. We stood looking at each other for a short while, and then I tried again. For a few seconds I had it in my grasp, and it did occur to me then that I could have wrung its neck and eaten it but I didn’t – I put it in the shed, and cared for it for a while. It was quite greedy and fell off the edge of a bucket once while trying to get at seed. Its legs leaned at an angle over its claws: L. The talons curved up out of the ends of each toe and didn’t seem to actually touch the ground when it walked. It was definitely using its eyes – I could only look at one of its eyes at a time. A very round pale brown eye which blinked. I could see its mind in its body. It turned its head every few seconds to get a proper view of me. I fed my pigeon every morning for several weeks. It still wouldn’t fly. I was worried it would be attacked by a rat – we’ve had rats in the yard – and one day I lost patience. I thought: it has to live for itself. I turned my pigeon outside and closed the shed door. The pigeon spent hours scuffling around on the concrete, and I nearly went out to collect it and let it back in, but then suddenly it was up on the roof. I didn’t see it get there, and it rested for a while. Perhaps it will fall, I thought, but I was watching when two other pigeons, both grey, both larger than my pigeon, came for it. They were all on the grey roof together and then they all, at the same time, opened their wings and floated into the air, incredibly slowly. They were close together, and their wings made a kind of dome shape from where I was standing. It didn’t look like they were flying so much as it looked like they were being pulled into space. I could see the three of them lifted further, and eventually they were so far away that I couldn’t see them. It was December and the sky was almost white. Afterwards I went to the sink and cleaned and dried my hands. It was strange that the pigeon had previously been constrained by them. It was around the same time that I started noticing the other animals. In the newspaper I saw images of eleven hippopotami which floated, dead, down a river in Binga, Zimbabwe. Dozens of barn owls fallen onto the Interstate-84 in Idaho. Tonnes of fish silvering the beaches in Montevideo, Uruguay. Hundreds of reindeer strewn across a plateau in southern Norway, after a freak storm. Closer to home, I saw images of the corpses of sperm whales which had washed up on the coast at Skegness in England, some way to the south of where I live. I saw photographs of the bodies of pilot whales which had washed up, a few weeks later, on the coast in Fife in Scotland, some way to the north of where I live. I saw images of winter-resident waxwings arriving at a wetland reserve not far from my house. Usually only a few hundred waxwings settle there for the season, but this last year thousands and thousands and thousands of them came – when they appeared over the horizon, the sky grew dark. In the summer, a study published in the journal Nature reviewed 370,000 ecological records from 1960 to 2012, and found that the seasons themselves were slowly drifting out of place. While my small brown pigeon was flying away from me, it felt like these strange and prodigious animals were coming closer. I hadn’t really noticed them before and then suddenly they seemed to be all over the place, landing on the beaches or bombing out of the sky. But still, none of these animals felt like they had anything to do with my pigeon because they just weren’t as real. Their strange behaviour was more like a representation of something and I found it difficult to put my finger on what exactly it was. I looked online at shots of chromosomes, hydrocarbon data, satellite images. I watched impressions of pure white ice shelves breaking off and floating away. But all those things, like the owls and the Uruguayan fish, seemed to embody a truth which felt conceptual or abstract to me. The pigeon, on the other hand, even if it was flightless and unable to live on its own, even if the squeaking sound it made was sometimes annoying, and could not realistically be called a coo, even so, it was definitely there and I had become involved with it. My pigeon and I found time for one another every day. In my job, I speak to people who work with animals, and they, too, often give me an impression that there are different ways to exist in a body: that there are truths about any body – your body – which are not quite the same as the reality of that body’s everyday life. The things I know to be true, in an abstract sense: satellite images, shots of chromosomes, hydrocarbon spreadsheets – they don’t always feel real. Meanwhile, the real, fleshy, living bodies, going about their business, cleaning their kitchens or trying to get at their seed, falling off their buckets – they don’t feel like they have much to do with the complicated truth about what is happening to life on earth. I find it hard to make myself much interested in this truth – it feels far off. I don’t want to hear about climate change or the biosphere, I want to hear about real people and real creatures. But there is a sense that the sky is getting dark and the horizon is moving nearer – that I should be paying attention, because one day the distant ice shelf will come ripping through the tissue of my body – through every body – even if it appears, for now, that the bodies all around me are intact. What does all this have to do with you? Everything. What do an American barn owl, a Zimbabwean hippopotamus and a Norwegian reindeer have in common? What they have in common is that they all have a relationship with your body – they are all, in some sense, your responsibility. There is a way of speaking which implicates your body in everything on earth. Dead whales have something to do with you, the disorientation of the waxwing is indirectly your problem, the freak storm and the changing seasons are consequences of actions performed by your body. Meanwhile, in the human world, there are car bombs going off in Baghdad every day. Does this have anything at all to do with you? Moreover, a teenager in Kolkata is missing a thumb and you are wearing a pair of inexpensive gloves. Is there any connection there? The idea that a human body can be responsible for something which bears no tangible relation to it or to its immediate surroundings is not a new idea. In the scriptures, God sends down plagues and floods when men are misbehaving. In Macbeth, strange things that happen in nature, which seem at first to be spooky and supernatural, end up being logical – too logical, really – technical and fussy. When the horses eat each other in the stables, there is a feeling that something is about to go wrong; it does. The witches predict that none of woman born will harm Macbeth, and that he will be undefeated until Great Birnam Wood, to high Dunsinane Hill/Shall come against him. Later, he is killed by Macduff, who was from his mother’s womb/Untimely ripped – and therefore not, in the phrasing of the time, of woman born. The forces that come to depose Macbeth come hidden behind branches which they lop off trees in Great Birnam Wood to take with them on the advance to Dunisnane Hill. Everything that happens, political and natural, is an effect of human acts, but the reasons are so obscenely down-to-earth that it takes a leap of imagination to perceive it. This idea of a body which can reach over to the other side of the world is not one we tend to speak of in everyday language right now. In normal life, a human body is rarely understood to exist outside its own skin – it is supposed to be inviolable. The language of the human animal is that of a whole and single individual. You are encouraged to be yourself and to express yourself – to be whole, to be one. Move away from this personality, self-expression, and you risk going out of your mind, being beside yourself, failing to be true to yourself, hearing other voices or splitting your personality: it doesn’t sound good. This careful language is anxious, I think – threatening in a desperate way. You need to take care of yourself, it says. You need boundaries, you have to be either here or there. Don’t be all over the place. Climate change creates a new language, in which you have to be all over the place; you are always all over the place. It makes every animal body implicated in the whole world. Even the patient who is anaesthetized on an operating table, barely breathing, is illuminated by surgeons’ lamps which are powered with electricity trailed from a plant which is pumping out of its chimneys a white smoke that spreads itself out against the sky. This is every living thing on earth. Every living thing has two bodies. To be an animal is to be in possession of a physical body, a body which can eat, drink and sleep; it is also to be embedded in a worldwide network of ecosystems. When every human body has an uncanny global presence, how do we live with ourselves? 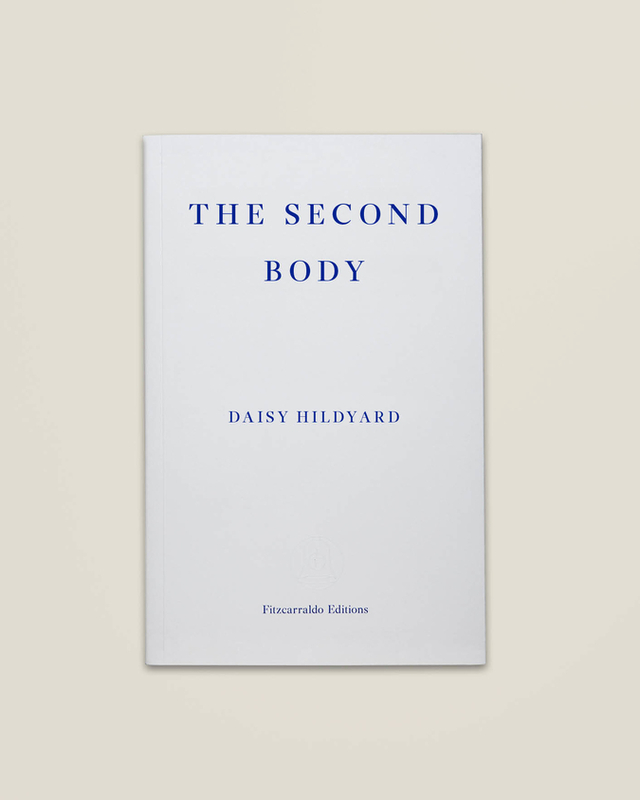 In this timely and elegant essay, Daisy Hildyard captures the second body by exploring how the human is a part of animal life. She meets Richard, a butcher in Yorkshire, and sees pigs turned into boiled ham; and Gina, an environmental criminologist, who tells her about leopards and silver foxes kept as pets in luxury apartments. She speaks to Luis, a biologist, about the origins of life; and talks to Nadezhda about fungi in an effort to understand how we define animal life. Eventually, her second body comes to visit her first body when the river flooded her home last year. The Second Body is a brilliantly lucid account of the dissolving boundaries between all life on earth.